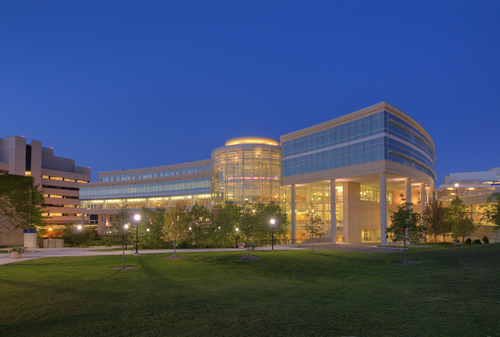 On June 11, 2007, the $215 million University of Michigan Cardiovascular Center (CVC) clinical building opened its doors to a new way of treating and studying cardiovascular disease in Michigan and throughout the nation. Located at the corner of Ann and Observatory streets, at the heart of the U-M medical campus, the Center unites many of the people and programs dedicated to heart and vascular care that were once located throughout the medical center. On March 21, 2013, the University of Michigan's Board of Regents approved the naming of the CVC in honor of Samuel and Jean Frankel to recognize the couple's groundbreaking support of the University of Michigan CVC. The gift from the Samuel and Jean Frankel Foundation to the U-M Cardiovascular Center was announced anonymously when the Center opened in 2007, and the March 21, 2013, date marked the first time the donor had been named publicly. To make an appointment at the University of Michigan Frankel Cardiovascular Center, call us at 888-287-1082 or email us at CVCCallCtr@med.umich.edu.